The next-gen Android build becomes available more than two months ahead of the I/O developer conference, its main highlight being multi-window mode support. Yesterday, Google announced the first preview of the next major Android iteration. Dubbed Android N, this next-gen mobile operating system is still in the "work in progress" development stage, but it already integrates quite a few attractive features. According to Google's VP of Engineering Dave Burke, "the earlier preview allows us to hand off the final N release to device makers this summer, so they can get their hands on the latest version of Android earlier than ever." 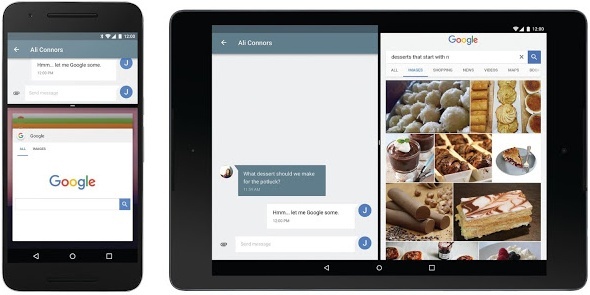 The Android N Developer Preview can be tested on the official emulator, but images for the Nexus and Pixel C devices are also included. However, consumers should stay away from Android N for now as this release "is for developers only and not intended for daily use or consumer use."